The number of people residing without anyone else in Turkey has risen by nearly 8 percent in the last decade, with 60 percent of them choosing to buy a property of their own rather than renting, latest figures showed Monday. 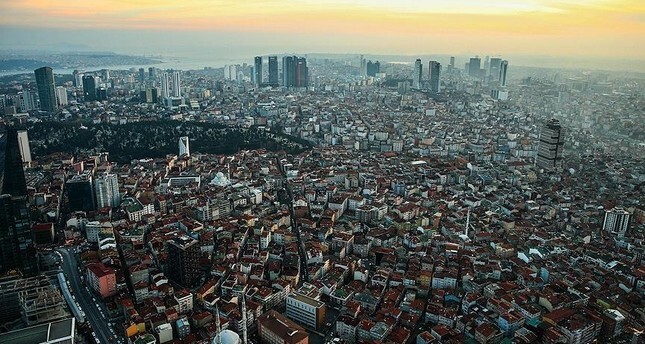 An analysis by Hafele Turkey on Eurostat data on housing showed a 2.2 million increase between 2007 and 2017 in the number of people living alone, a rise from 7.3 percent of the total population to 15.1 in the last 10 years. Turkey's leading construction and furniture systems company Hafele found that about 3.5 million people in Turkey have been living by themselves as of 2017, which was only 1.3 million back in 2007. Experts suggested the increase was mainly down to a rising rent prices and higher wages. Hilmi Aytun, the executive president of Hafele Turkey said the increase in rental prices in the last 10 years was 115 percent on average, and this figure was much higher in metropolises like Istanbul. "This in turn is increasing demands for rental homes and driving rent prices higher," he said. "The projects the housing sector has developed for different segments of the society in recent years have also contributed to this growth," he added. Noting that about 9.5 million housing units have been sold in the past 10 years, Aytun said that more and more single people were opting to buy houses over renting due to high costs. The proportion of those living alone in regions where large universities or business centers are located is high, Aytun said, pointing out that the lowest amount of people living alone was recorded in Turkey when compared with European Union countries. Out of 221 million homes in the EU, 74 million were lived in by just one person. In Sweden that number was over half of the households at 51.4 percent, followed by Denmark at 44.4 percent, Lithuania with 42.5 and Denmark with 41.3 percent. "We see Turkey closing this gap in the near future. This is actually one of the biggest opportunities of the real estate sector in Turkey," he said, with these statistics translating to 4 million new homes.